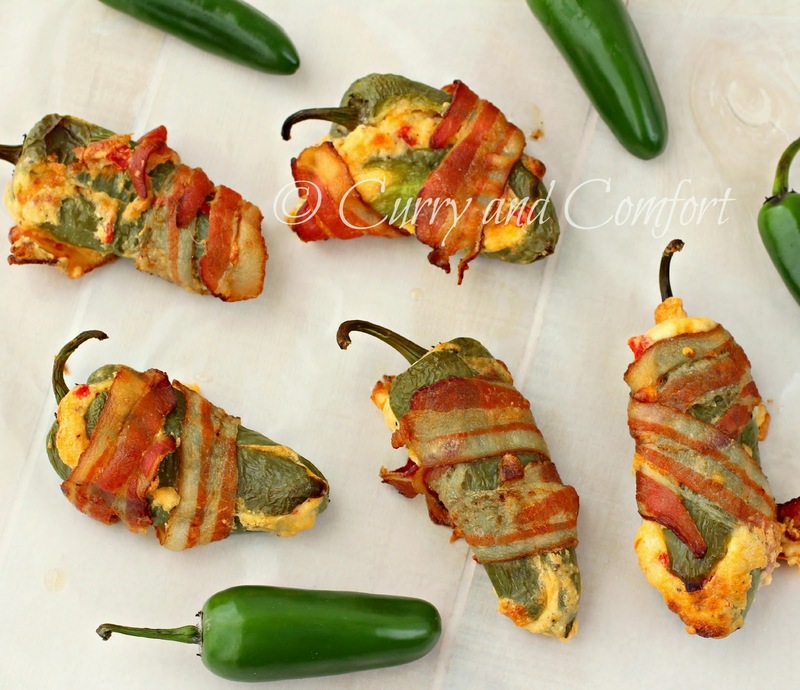 Bacon wrapped jalapeno peppers stuffed with pimento cheese is a perfect fall treat to celebrate a football game, baseball game or even watching the political debates. 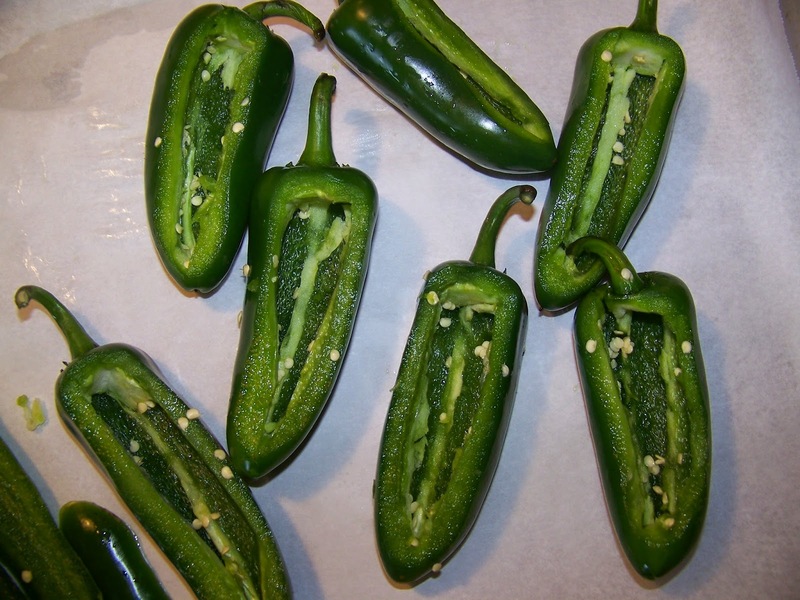 I have been meaning to make some jalapeno poppers for some time now. 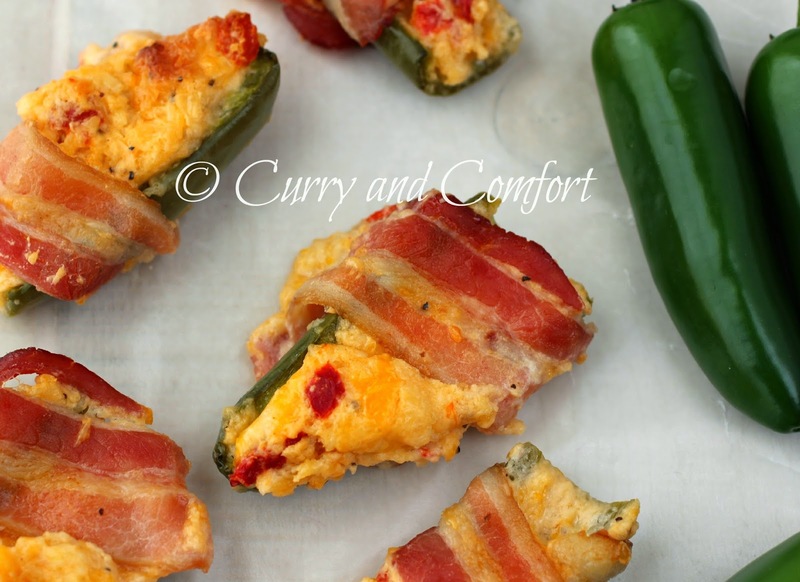 I got the idea to stuff them with my favorite pimento cheese recipe and wrap them in bacon so now all I needed to do is figure out how to make it all work. 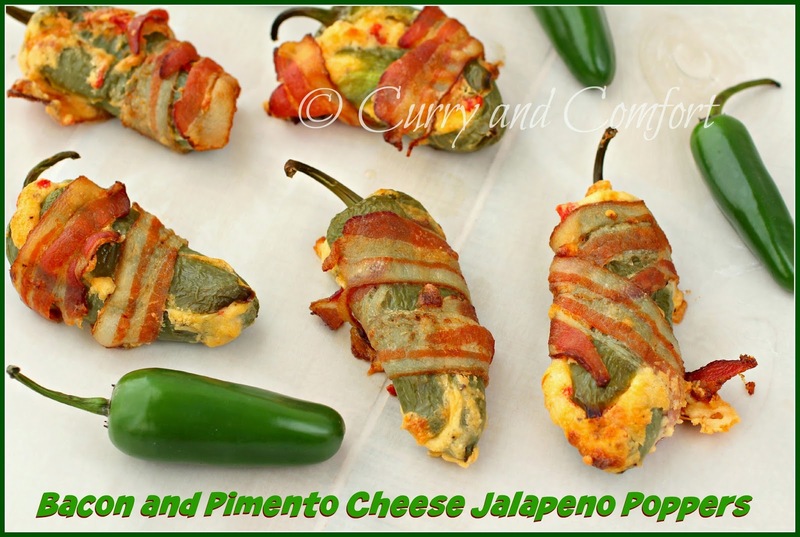 You would think it was really easy... cut the jalapeno, stuff it with the pimento cheese and wrap it with bacon then bake it up. Well, the first trial was tasty but a bit of a disaster and Uuuugly! 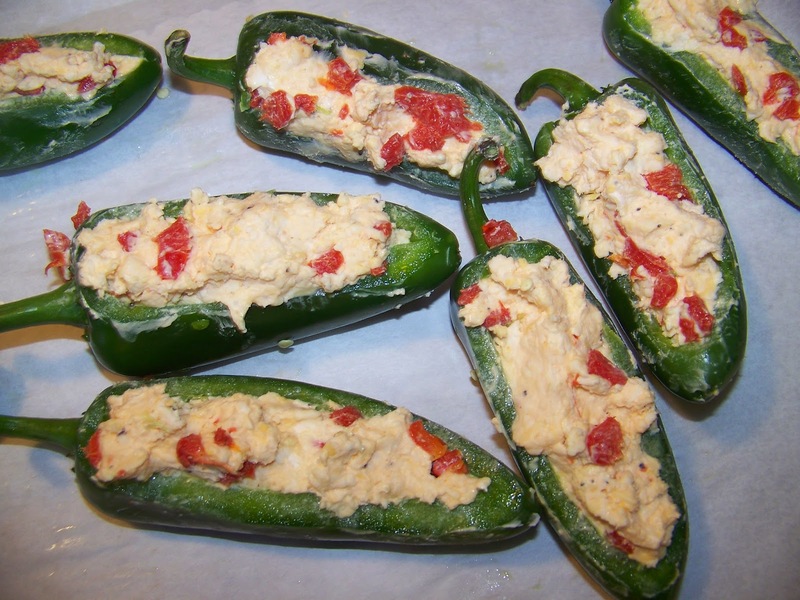 I totally overstuffed the cut jalapeno peppers and I had pimento cheese oozing every where. I tried to salvage them and even took some photos.. but really they were not blog worthy. So I went back to the drawing board and decided I needed the biggest jalapenos I could get. 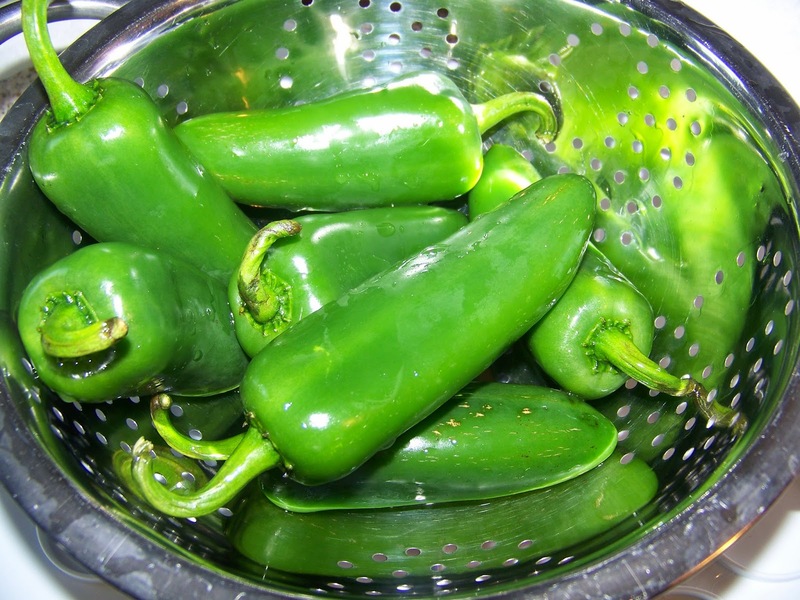 I went to my Asian market and found some really lovely big jalapenos. The second thing I changed was not cutting them in half. I decided to only cut a bit off the top to scrape out the seeds and membrane then stuff the pepper, top it with the cut piece of jalapeno and finally wrap it in bacon. They came out much more appetizing and far less "oozy". 1. 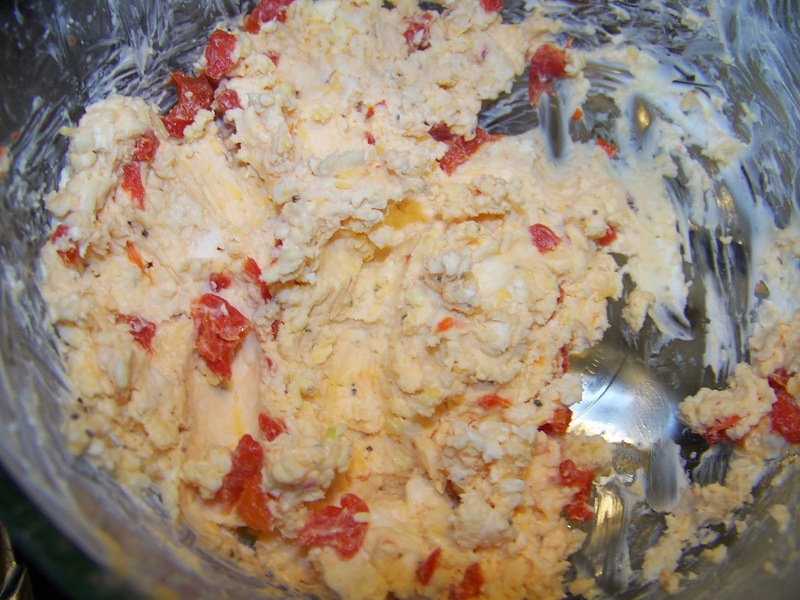 Make the pimento cheese and allow it sit in the fridge 4 hours or up to overnight. 2. 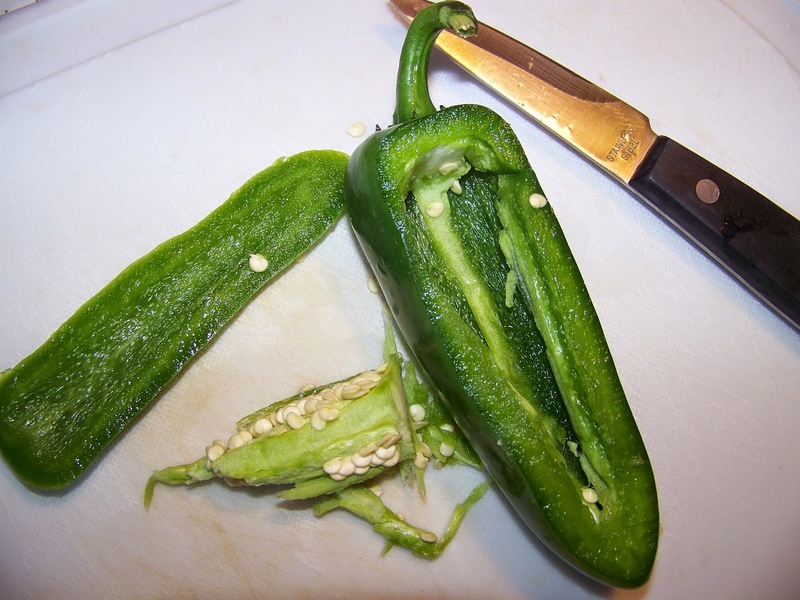 Wash jalapeno peppers and slice the top section of jalapeno then remove the seeds and membrane. Discard the seeds and membrane. 4. 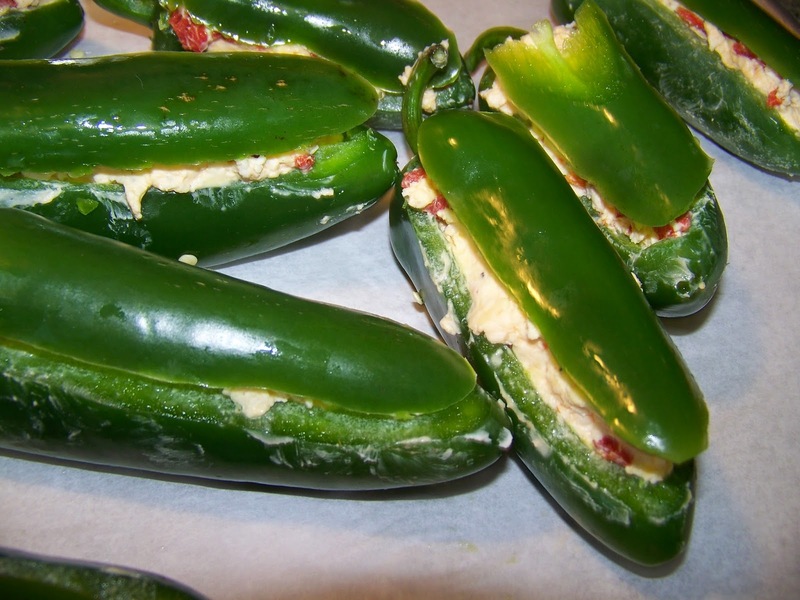 Top with the slice of jalapeno pepper. 5. 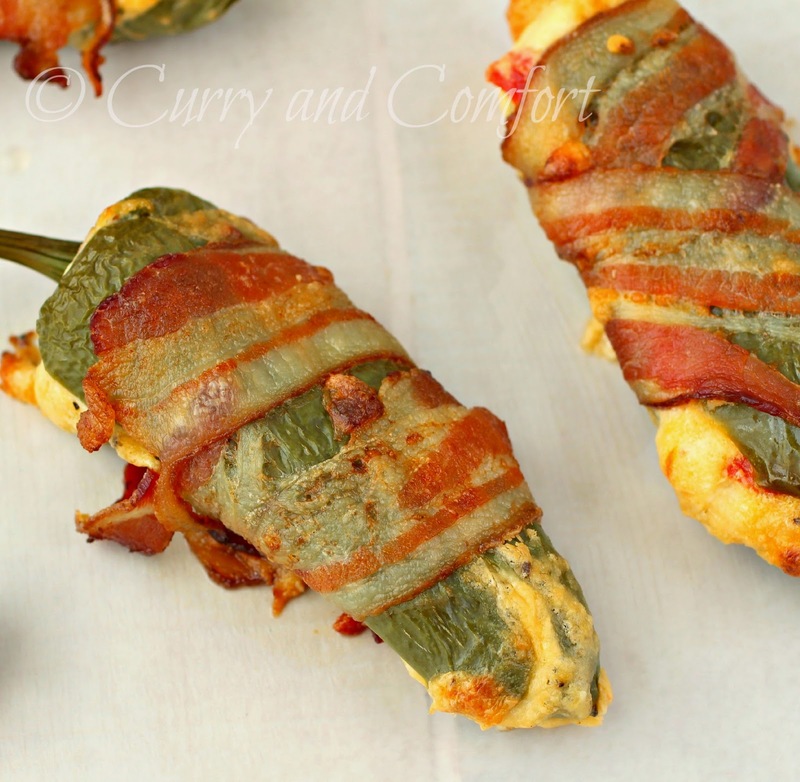 Wrap stuffed jalapeno pepper with bacon. 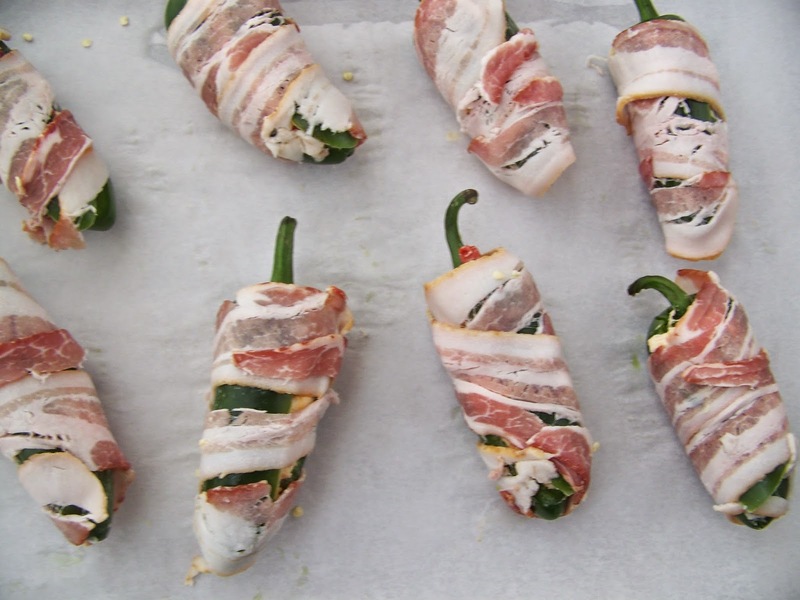 Note: if you have small peppers, cut bacon strip into half and then wrap. 6. Place on a parchment lined baking sheet and bake at 425 degrees for 25-30 minutes or until bacon looks cooked. 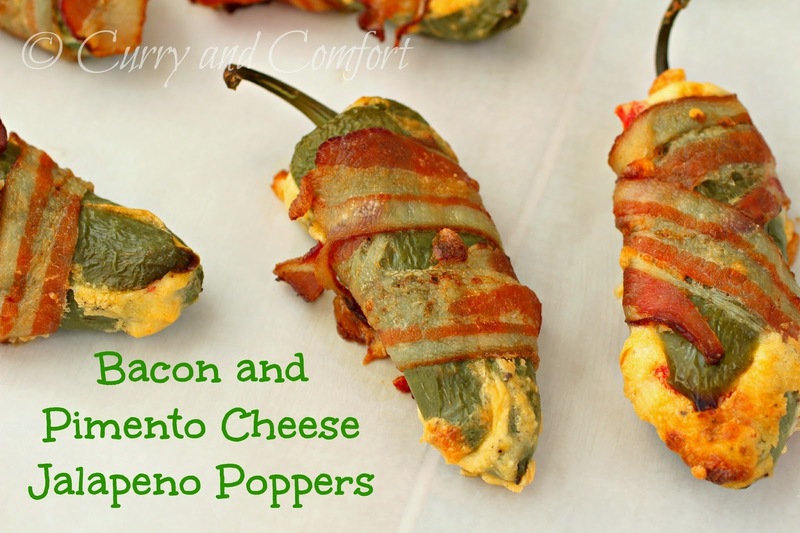 I love jalapeno poppers and the fact that bacon is involved makes it hard for me to share these! I've never had one of these but I sure am willing to try them! My mouth is on fire, but I'm loving the flavors in these poppers. Outrageous!!! !